Kiernan is a very handsome red and white puppy who is approximately 11 months old. His owner realized he didn’t have the time and attention for Kiernan that he so deserved and asked us to help him find a perfect home. 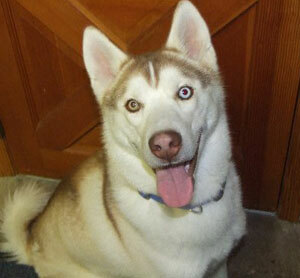 Kiernan is a happy and goofy young Siberian who loves everyone and has charmed his way into his foster home. We are getting to know this youngster and would love to tell you more about him. If you are looking for a new companion that will be by your side for years to come, please ask us about Kiernan. He is looking forward to a new forever family and a fantastic New Year in 2012!